I have encountered a new problem on the Internet concerning terminology: People are getting confused between “Life hacks” and “DIYs”. I am here to elaborate. If you are making something yourself that you can purchase, such as a cat bed using hangers and a t-shirt, that is a Do It Yourself (DIY) project. If you are doing something to make life easier, that does not end up as a final product that you could sell for money (such as heating towels in the dryer right before giving a dog a bath, to make the dogs less unhappy about the cleaning ritual), that is a life hack. This entry was posted in fluffy, instructions and tagged Fluffy, instructions, PSA on May 31, 2016 by Fluffy McGiggles. So. There is a kickstarter campaign for a fantastic looking alarm clock. It’s a combo alarm-clock single-cup-of-coffee-maker. I look forward to it becoming more affordable! This entry was posted in Webmaster and tagged webmaster on May 30, 2016 by Webmaster. The same people who did the “Classical Music ‘Mashup’” recently published a Disney Mashup. It is very lovely, and a bit tricky to identify all of them. Consider it a challenge for you Sunday afternoon. This entry was posted in fluffy, music, YouTube and tagged Fluffy, music, youtube on May 29, 2016 by Fluffy McGiggles. As you may recall, I kinda really love glow-in-the-dark things. So, when a friend shared a video of someone who “paints with light”, I needed to share the video with you. The results are fantastic. Happy Saturday! Go make something, or… something! This entry was posted in crafts and projects, Webmaster, YouTube and tagged crafts and projects, webmaster, youtube on May 28, 2016 by Webmaster. Following The Webmaster’s example from yesterday concerning Internet Phenomena You Might Want To Know About, there has been something of a controversy going on in the Marvel Universe of comics. An article (and video) at Nerdist explain it well. It is worth investigating, if you care. This entry was posted in fluffy and tagged Fluffy on May 27, 2016 by Fluffy McGiggles. You’ve probably seen the video of “Chewbacca Mom.” If not, here’s an article that explains the significance. This entry was posted in real world, Star Wars, Webmaster and tagged real world, Star Wars, webmaster on May 26, 2016 by Webmaster. If you are crafty and are not following EPBOT, CHANGE THAT. I know I’ve mentioned epbot before. And I’m about to do so again. Because the author of Epbot and her husband just showed off an AMAZING cosplay they made. It’s the Junk Lady from Labyrinth in Cosplay Form. The detail work is legitimately amazing. I am amazed. This entry was posted in Webmaster and tagged webmaster on May 25, 2016 by Webmaster. BEAUTY AND THE BEAST TRAILER!!!!!!! FLUFFSTERS, THERE’S A NEW BEAUTY AND THE BEAST TRAILER OUT! It looks like it’s going to be AMAZING! Don’t you agree? I mean, THAT MUSIC! EMMA WATSON! THE CASTLE! THE MUSIC! THE SCENERY! And yes, I listed music twice. Tough. Live with it. This entry was posted in trailer, Webmaster and tagged trailer, webmaster on May 24, 2016 by Webmaster. 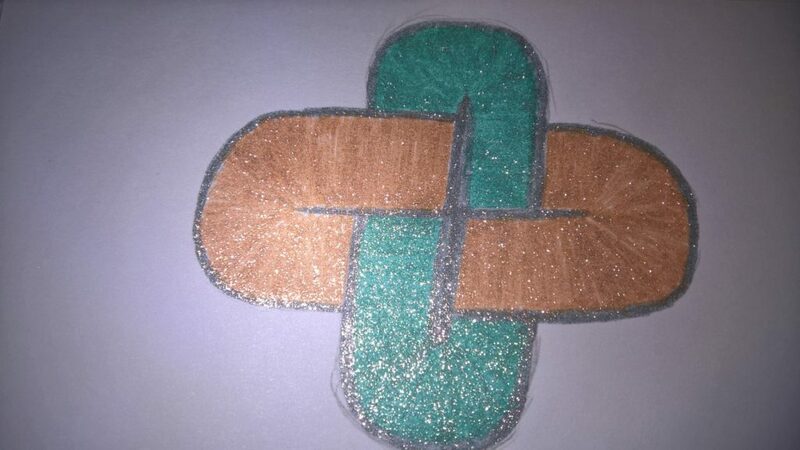 Things to do with Glitter Pens! For some reason, I decided to invest in glitter pens a few days ago. And after that, I decided to make a couple pretties. 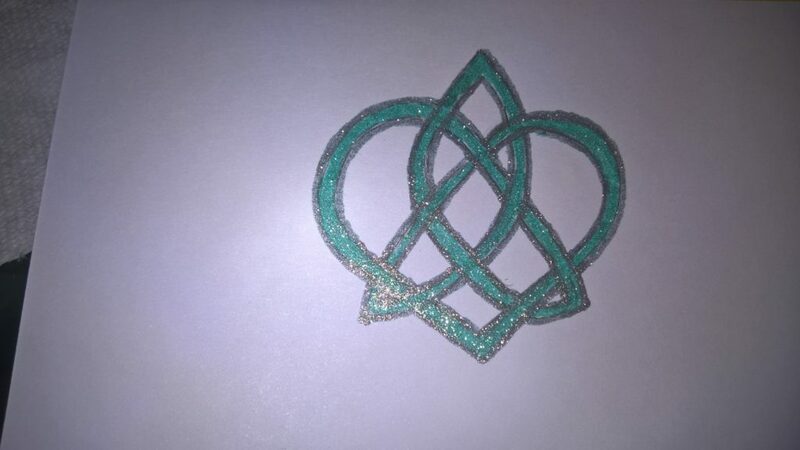 As in, I drew a couple celtic knots, and used glitter pens to color them in, and I’m happy with how they turned out. I highly recommend glitter-pen-ing celtic knots. They’re sparkly! Only ONE line required! Ish. This entry was posted in drawings, Webmaster and tagged drawings, webmaster on May 23, 2016 by Webmaster. Fairly New Honest Trailer– Wreck It Ralph! There’s an Honest Trailer that just came out this past week. It’s for Wreck-It Ralph. The “trailer” is amusing. This entry was posted in trailer, Webmaster, YouTube and tagged trailer, webmaster, youtube on May 22, 2016 by Webmaster.